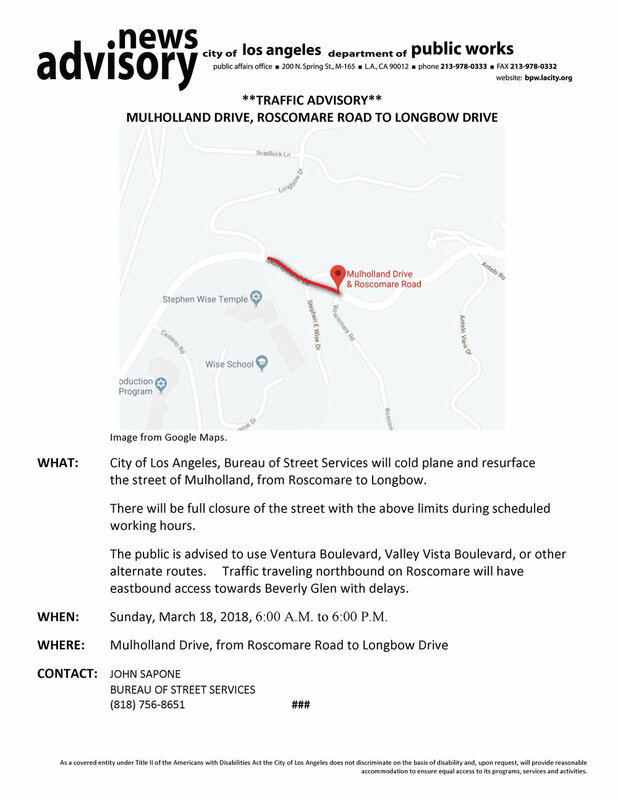 The Bureau of Street Services will be repaving Mulholland Drive from Roscomare to Longbow Drive on Sunday, March 18th. This will be a one-day closure from 6:00am-6:00pm. If it rains on this Sunday, then the repaving will be rescheduled. Click here for Traffic Advisory flyer. The race begins at 6:30 AM on Sunday, March 18th, forcing street closures across a swath of the city to accommodate the stadium-to-the-sea route. Click here to link to the map of planned closures.